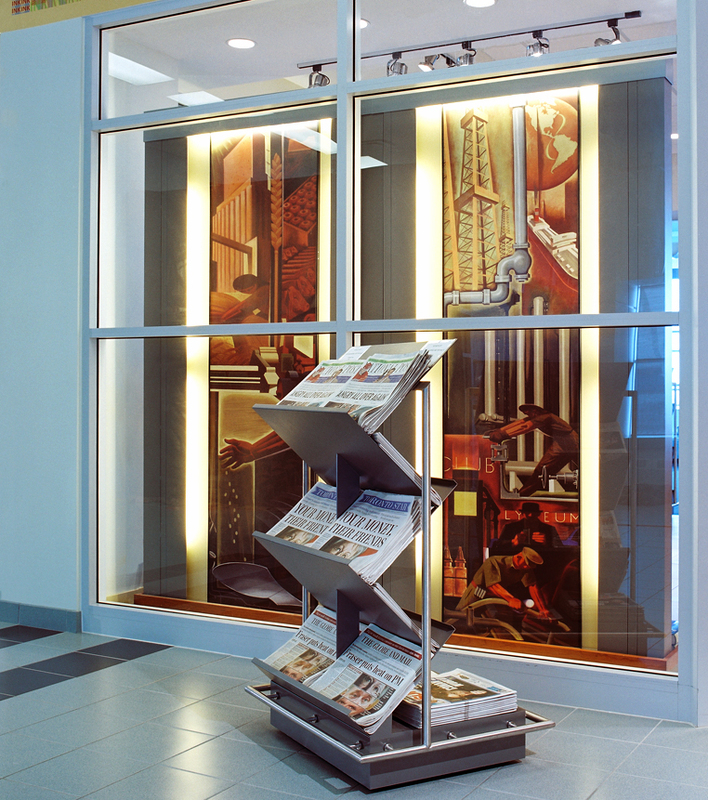 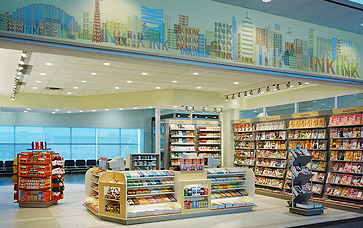 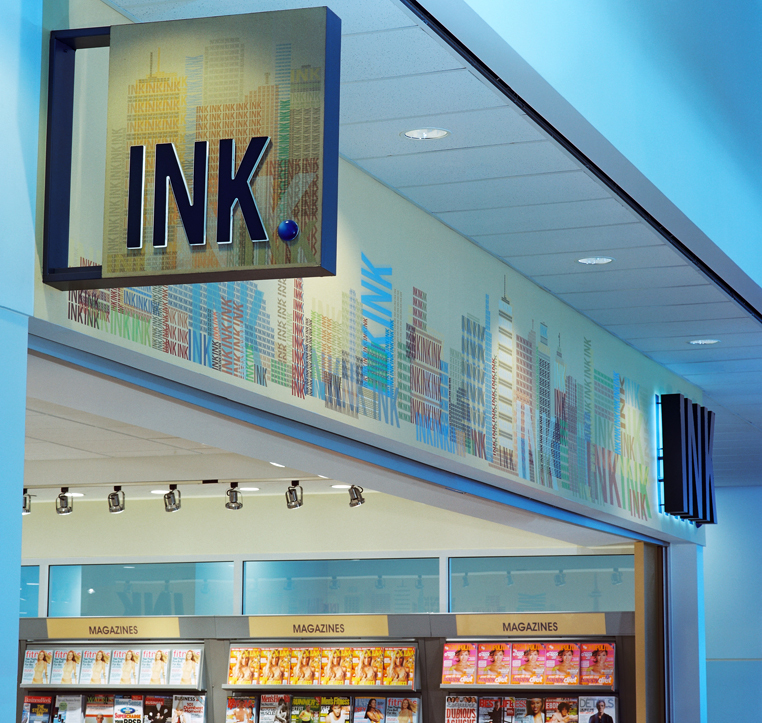 Taking inspiration from the iconic, former Toronto Stock Exchange building and the downtown, financial district, INK provides a fitting and distinctive environment for a typical airport news concession. 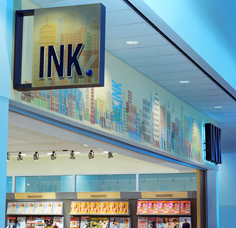 From the name, a clever word-play on business and printing, to the design, which integrates old and new graphics, this concept pays homage to both the historically designated building, and the business vibrancy of the city core. 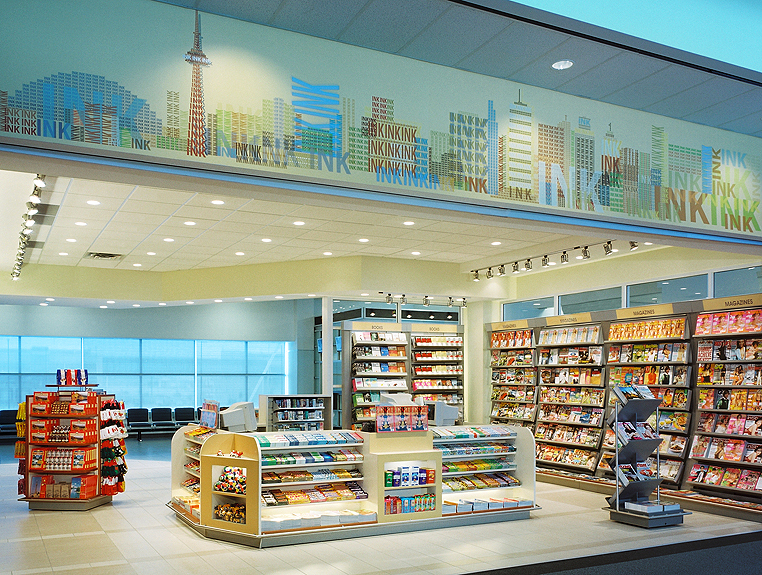 Featured on the otherwise open storefront, the downtown Toronto skyline rendered across the bulkhead, through the graphic repetition of the store name, is immediately recognizable. 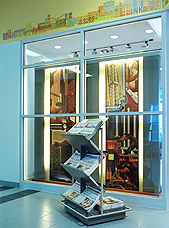 Digital reproductions of six painted murals by Charles Comfort, original to the 1937 Stock Exchange Building, grace window display areas.